There are many opportunities across an individual’s life to create, shape, and hone the skills necessary to achieve one’s full potential. However, for those who face disadvantages, what can be done to reduce inequality and promote opportunity and access to these skills? The Center for the Economics of Human Development is driven by finding answers to these important research and policy questions, including understanding the critical periods in the life cycle where interventions can have a meaningful impact on the creation and refinement of a diversity of skills necessary for human flourishing. The Center integrates cutting-edge research across disciplines, theories, and methods. We serve as a catalyst for collaboration among economists, biologists, psychologists, neuroscientists, and sociologists interested in methodological innovation. These collaborations also allow us to recognize the multiplicity of skills required to be successful in life, including cognitive skills, social skills, and health. Our researchers go out into the world and observe multifaceted problems and the social and economic contexts in which they are embedded then develop, estimate, and apply a unified framework of skill formation to guide policy and evaluate the effectiveness of social programs. We understand that investing in human capital is vital to the health of communities and our economy. Though there is likely no perfect method to advance opportunity for all, we do know that we can create and shape human capabilities, giving all people the opportunity for advancement. The Center for the Economics of Human Development was founded in 2014 by Nobel Laureate James J. Heckman at the University of Chicago to foster a comprehensive research program that identifies and explores the circumstances under which people develop the skills necessary to thrive in the current economy and achieve their fullest potential. The Center’s research portfolio is composed of an array of diverse, interrelated projects and initiatives which promote a thorough empirical understanding of human flourishing. Unifying this research is the idea that capacities and skills gained and learned in early childhood transform many aspects of the life course at all stages, ranging from employment and earning prospects to overall health. The Center not only brings together teams of the best researchers from throughout the world to explore and understand the depth of these complex topics, but also aids in the successful dissemination of their findings. In doing so, the Center’s researchers and staff equip policymakers and practitioners with the information necessary to promote equality of opportunity for even the most disadvantaged and vulnerable. The Center pursues these aims through several research teams focusing on areas such as early childhood and adolescent development, inequality and intergenerational mobility, employment, health, and crime. Additionally, the Center runs multiple initiatives that serve two purposes. The first is to expand its knowledge base and incorporate important perspectives into its research. Initiatives, such as the Asian Family in Transition, forge lasting connections with researchers across the world tackling similar topics in different economic contexts. The second purpose is to ensure that the research helps influence responsible policymaking and practices. For instance, the Heckman Equation works specifically to increase public understanding and legislative use of the Center’s research. The Center houses its researchers and staff, which include graduate and undergraduate students, visiting scholars, and doctoral and post-doctoral fellows, in two houses adjoined to the University of Chicago's Saieh Hall for Economics. It is fitting that, in these two buildings’ past lives, they housed the University of Chicago's Lab School's Nursery School, and prior to that, the Department of Home Economics and Household Administration, which researched child care and development. 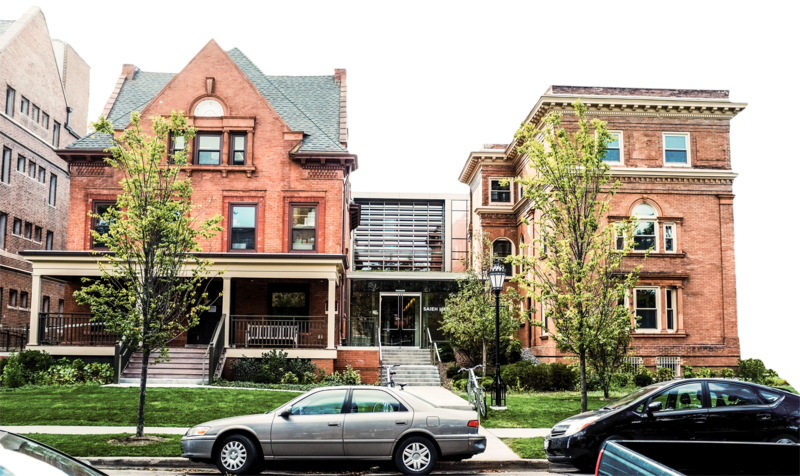 The Center’s two houses on Woodlawn Avenue are again bustling with people devoted to understanding the capacity of an individual to reach his or her potential for health and success. The Center is grateful for the commitment of its researchers and funders who have made its current success possible and enabled the Center to grow and have a greater positive impact on research and policy. Research at the Center for the Economics of Human Development is guided by questions about the factors that contribute to inequality, disparate life outcomes, and interventions that can help alleviate such social problems. The Center’s research team is composed of more than two-dozen researchers working closely with Professor Heckman. They conduct, analyze, debate, and revise rigorous research in teams. The Center’s research contributes to the understanding of the scope of social problems and the economic context in which they are embedded. This ensures that the work produced and published not only meets the highest academic standards of scholarship, but can bring about positive policy changes that benefit those who need it most. To successfully tackle these difficult problems, the Center’s researchers collaborate with biologists, psychologists, neuroscientists, and sociologists. This collaboration leads to an enrichment of traditional economic approaches to human development by augmenting our understanding of the skills necessary to thrive in our current economy. Through this enriched understanding, the Center’s researchers are in a unique position to develop, estimate, and apply a unified framework of skill formation which can accurately evaluate the effectiveness of social programs and serve as an insightful guide for creating public policy. One such product of this thoughtful questioning, testing, and analysis is the knowledge that high-quality early childhood programs are effective at addressing inequality and promoting opportunity throughout the life course. The work of the Center’s researchers bridges the gap between academia and practice to inform policymakers and encourage implementation of early childhood programs that can have impacts on academic success, health, and social mobility. The Center’s work is both rigorous enough to be respected by academics, and relatable enough that policymakers and practitioners can understand it and advocate for early childhood programs that serve the most vulnerable populations and produce lasting benefits to society as a whole. In 1916, under the leadership of Mrs. Frank R. Lillie, a small group of women established what would later become the University of Chicago Nursery School. 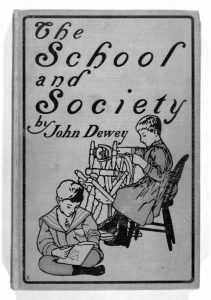 The school began informally when a group of mothers, wanting to participate in war work, found that they could take turns supervising each other's children and thus have time to help with the needs of World War I. For three months, this small group of women and young children met daily outside in Scammon Garden. Then, as winter approached, the "school" found a home in Lexington Gymnasium, the University's women's gymnasium. The Board of Trustees of the University of Chicago supported the group by providing funds for equipment as well as heat, light and janitor service. This cooperative care of children continued in Lexington Gymnasium until 1923, at which time gifts from Mrs. Lillie and funds from the University Trustees, Faculty, neighborhood friends, and those raised by the parents made possible the purchase of a three-story house at 5750 Woodlawn Avenue. In 1929, funding from Dr. Walter H.O. Hoffman and the University provided for the acquisition of the adjoining property at 5740 Woodlawn Avenue. The latter building was to be used both by the Nursery School for educational purposes and by the Department of Home Economics and Household Administration for research in child care and development. At this time in the United States the influence of John B. Watson and Sigmund Freud had popularized the idea that the early childhood years were highly formative. The Nursery School was therefore seen as a useful resource for the University. The Nursery School was incorporated in 1923 as the University Cooperative Nursery School, and the first professional staff member was employed. In the years to follow, additional professionally trained staff members were hired to advise in the field of child care. Despite its professional staff, however, the School remained a cooperative in that the mothers of the students served at least half a day a week as "teacher assistants". Some of the Nursery School teachers helped to institute Illinois state educational regulations by serving on state commissions dedicated to setting standards for preschool education. They also served on the Committee of the Community Chest which allotted funds to the charity nurseries. During World War II they served on the Office of the Defense Committee which supervised and staffed the war nurseries and day care centers. 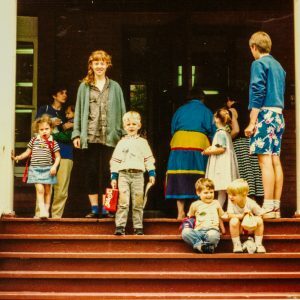 The school also provided training for a large number of foreign students, a service further enlarged by Dr. Helen Koch's counseling of nursery teachers in Germany in 1948. 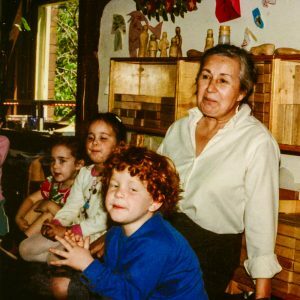 Many of the staff members were active in the National Association of Nursery Education, often leading discussions, workshops, and demonstration sessions. Barbara Merrill, while principal, served as program chairman for the Midwestern Association of Nursery Education in 1952 and other staff members presented papers and gave lectures at these annual meetings. The School was renamed the University of Chicago Nursery School in 1938 when it was taken over by the University of Chicago. Many changes resulted from this takeover, including: (1) the administration of the School was placed in the hands of the Child Development Committee, later renamed the Committee on Human Development; (2) the Nursery School's buildings and equipment were donated to the University; and (3) the Nursery School's staff was made up entirely of professionally trained personnel. In 1943 the Nursery School was placed in the University of Chicago's Division of Sub-Collegiate Instruction. It remained a separate institution until 1955, when the Nursery School became the third member of the University of Chicago Laboratory Schools, following the University Elementary School (1896) and the University High School (1903). The Nursery School remained in the houses at 5740 and 5750 S Woodlawn Avenue until September 2013, when it moved to the newly constructed Earl Shapiro Hall, located at 5800 S Stony Island Avenue. The Center for the Economics of Human Development submitted a successful proposal for occupation of the houses in late 2013, and moved in following the completion of construction in August 2015.